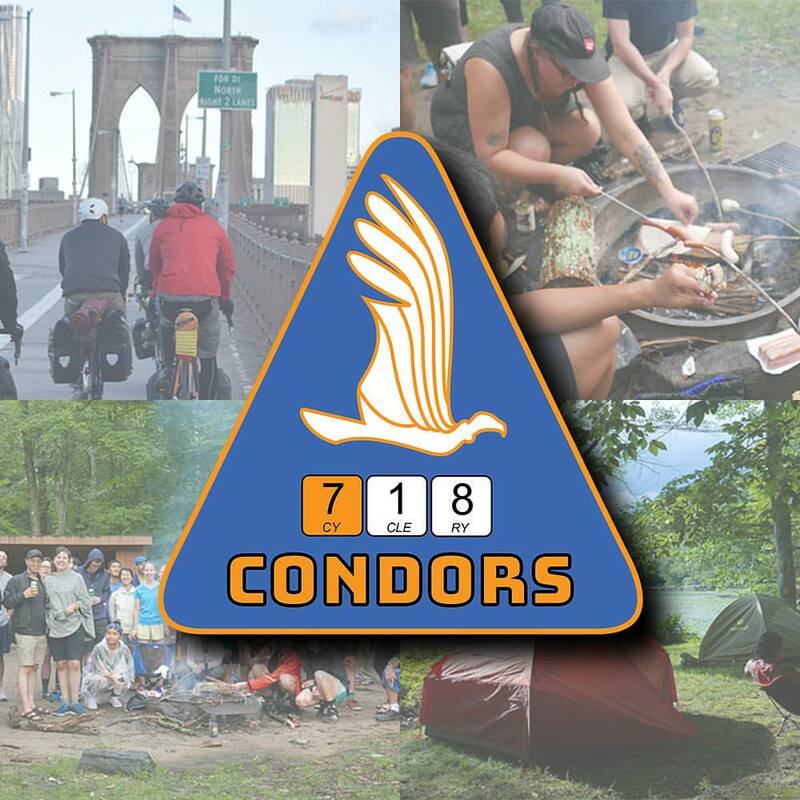 The 718 Condors are leaders and protectors, ensuring the safety and fun of participants of our trips and tours. Condors come from all walks of life and all corners of the cycling community. However, condors share the core belief that a life on a bicycle is a life well spent. Condors are cycling ambassadors, beacons of safety and confidence. Although it may appear to be similar to a secret society, nothing could be further from the truth as a Condor's calling is to educate and share. Suffice to say, the Condors diversity and inclusion mirror the riders we serve. "On the wing the movements of the condor are graceful. The lack of a large sternum to anchor correspondingly large flight muscles identifies it physiologically as a primary soarer. The birds flap their wings on rising from the ground, but after attaining a moderate elevation they seem to sail on the air"
We are currently accepting applications for the 718 Condors. Condors get compensated for rides they lead and/or support, free training, a pretty fantastic shop discount and some great (and very exclusive) Condor Swag.